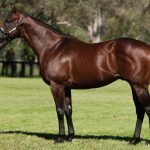 The $200,000 Magic Millions Clockwise Classic at Ballarat on Saturday proved a great result for Widden Stud sold youngsters with three of the first four home, including the quinella, all purchased from our 2018 draft. The winner was talented Deep Field colt Hawker Hurricane(pictured as a yearling). Ridden by Mark Zahra for trainer Michael Moroney, Hawker Hurricane had just two behind him coming into the straight. Zahra saved ground when finding a narrow seam between runners and once he found some daylight, Hawker Hurricane kept up a strong gallop to defeat well bred Zoustar filly Charvet by three-quarters of a length with Alburq in third place and another Widden sold youngster in Absolute Flirt in fourth place. Zahra said the good looking colt still has plenty to learn. “He’s a very green horse. Luckily, I drew well because I was able to save ground,” Zahra said. “He showed a good turn of foot once I got out. I liked him in his jump out – I just needed a bit of luck today and I got it in the finish. Bred by Heath Newton, Hawker Hurricane was a $150,000 Magic Millions purchase out of the Widden Stud draft by Paul Moroney Bloodstock. He is the first foal of the Bernardini (USA) mare Bernarsini, a half-sister to dual Group III MRC Sandown Classic winner Mahhisara and Group III MRC MRC Moonga Stakes winner Ulmann. 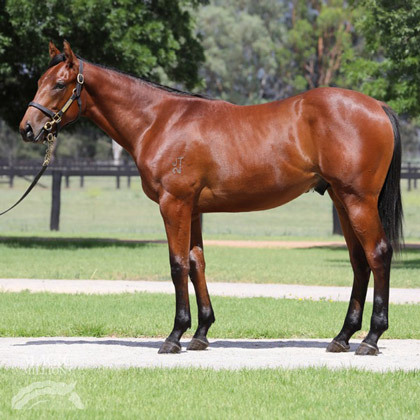 Charvet (2f Zoustar x Satinka) was a $560,000 purchase and Absolute Flirt (2f Stratum x Bisutti) was a $100,000 purchase. 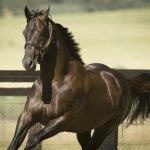 Widden Stud will present another outstanding draft at the 2019 Magic Millions with 42 youngsters on show including 31 by our own sires. Click here to see the draft.